The whole tragedy about our declining bird populations is that in most instances we know what to do but we are not doing enough of it and well. In urban gardens cats might certainly contribute to declines, but in the countryside there are a myriad of other threats that face vulnerable birds – foxes, crows, magpies, all of which have been increasing in number and provide a major threat during the breeding season to vulnerable birds. On our research farm, the Allerton Project in Leicestershire, we wanted to test the benefits of a game management system. We analysed 11 years of nest data from 6 songbird species on 3 lowland farms, with and without game management. Monitoring nesting success when predator control was carried out showed that this resulted in increased nesting success for five of the six species. More importantly, there were also increases in numbers – blackbird from 66 to 143; song thrush 14 to 64 and chaffinch 135 to 229 over a six-year period. 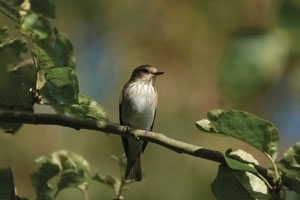 An increase in the now scarce spotted flycatcher could also be linked to an improvement in nesting success. Good conservation is about providing the right mix of conditions that enable populations, not just individuals to thrive, such as creating the right habitats, protection from predators and providing supplementary food. Land managers just need the right incentive and advice to make this happen.